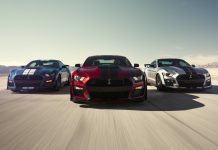 Home Supercar News Ford Video: Hennessey HPE750 Ford Mustang Hits Over 330km/h! 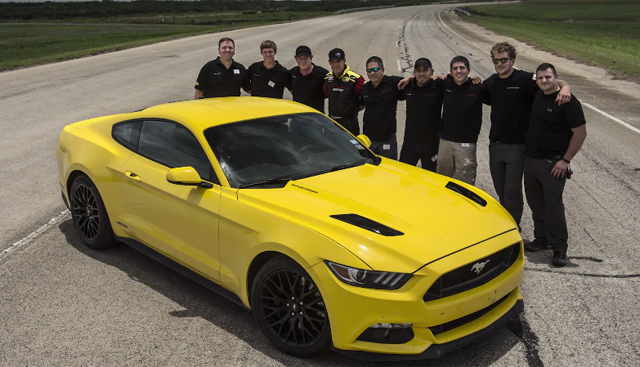 Video: Hennessey HPE750 Ford Mustang Hits Over 330km/h! With a naturally-aspirated 5.0-litre V8 engine delivering over 400 hp, the 2015 Ford Mustang GT is no slouch. 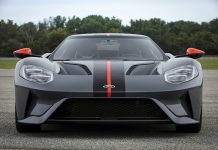 With that being said, Hennessey Performance offers a range of performance modifications and packages for the American supercar. In order to see how Hennessey’s HPE750 package performs on the track, the Texas base tuner headed to Continental Tire’s proving grounds. 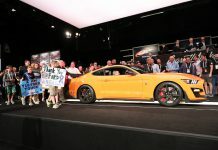 Once there, an impressive top speed of 334 km/h (207.9 mph) was set in the bright yellow Mustang. 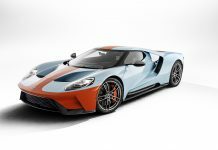 The record-setting run was made during filming of an upcoming episode of Jay Leno’s Garage which will air in CNBC when the show moves from YouTube to TV. Like the HPE700 package, the HPE750 upgrades are based around the installation of a Roots-style supercharger. 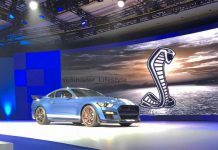 Additional upgrades include a larger throttle body, stainless steel exhaust system as well as upgraded fuel injectors and a revised fuel pump.